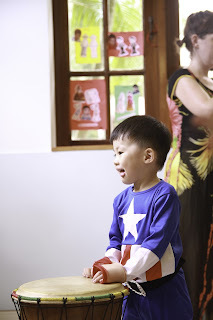 Mid-Autumn Festival is the second most important festival after the Spring Festival (Lunar New Year) to Chinese people and in many China's neighboring countries; Mid-Autumn Festival is widely celebrated, like Japan, Vietnam, and Singapore. 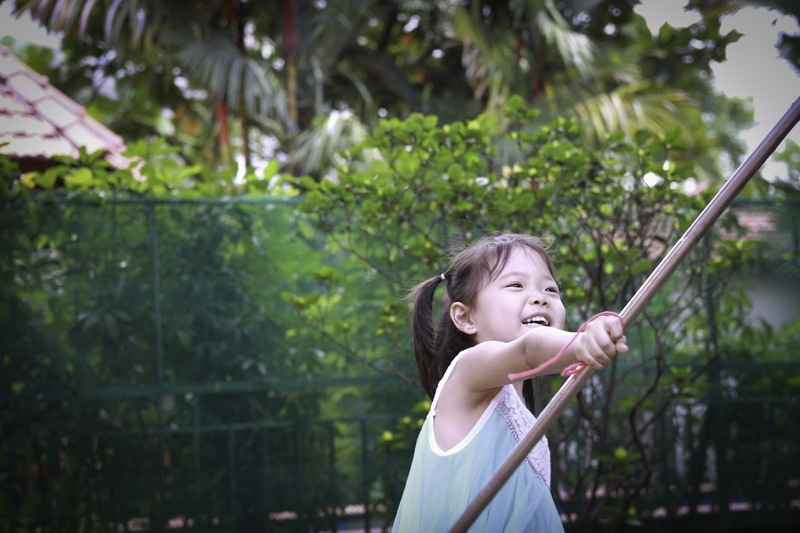 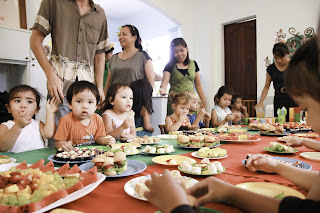 Every year, when the festival comes; which traditionally falls on the fifteenth day of the eighth lunar month; people go home from every corner of the country and the world to meet their family and have dinner with them, admire the full moon, drink tea and eat mooncakes. Chinese people believe a full moon is a symbol of peace, prosperity, and family reunion. On Mid-Autumn Festival night the moon is supposed to be the brightest and fullest, which is why the festival is also known as the "Day of Reunion" and the "Moon Festival". 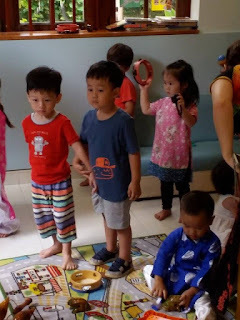 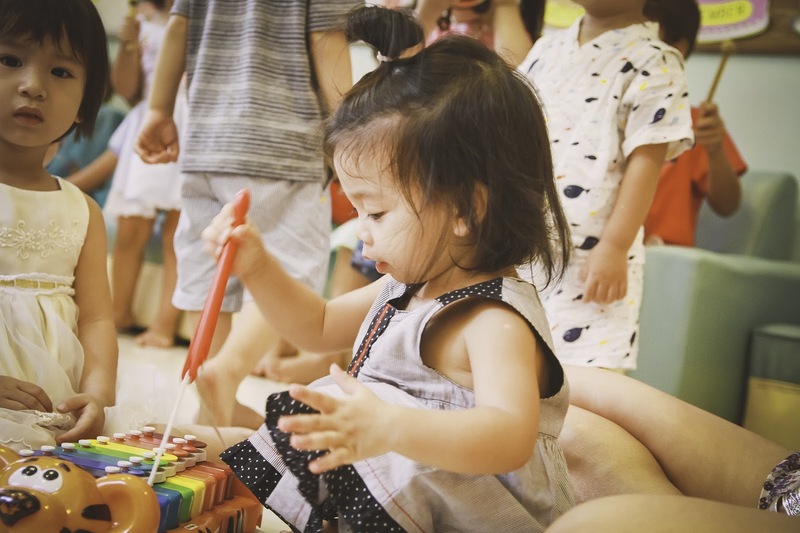 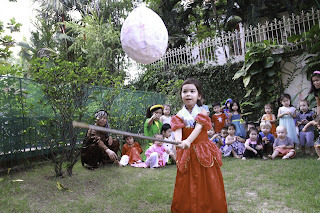 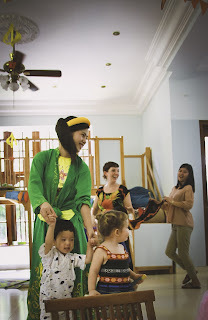 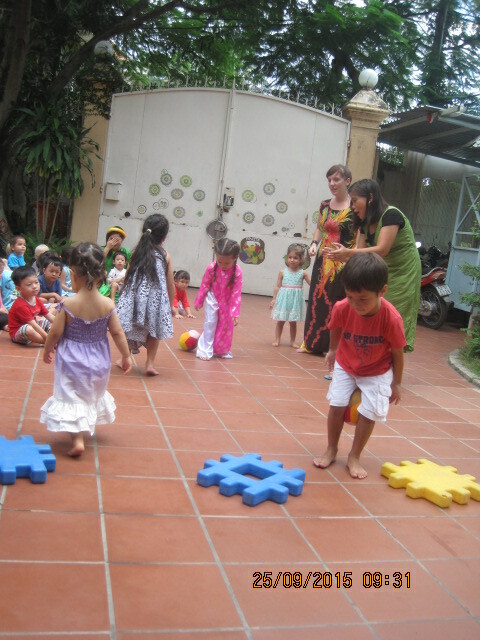 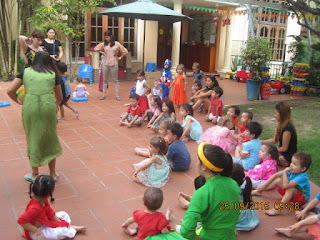 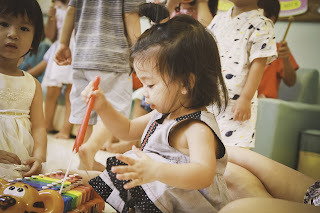 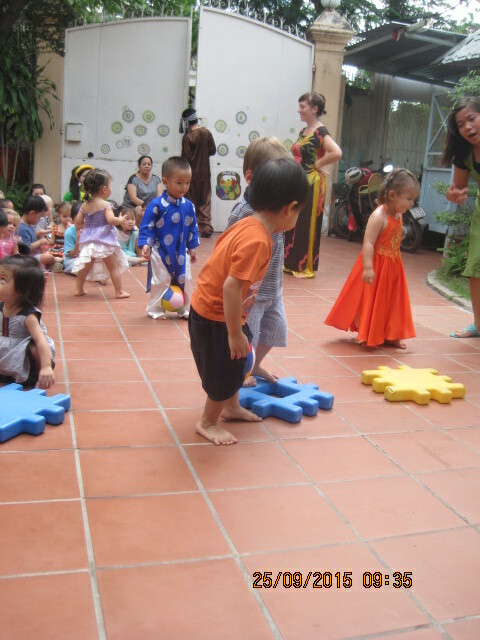 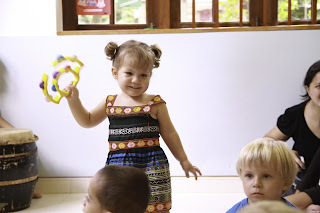 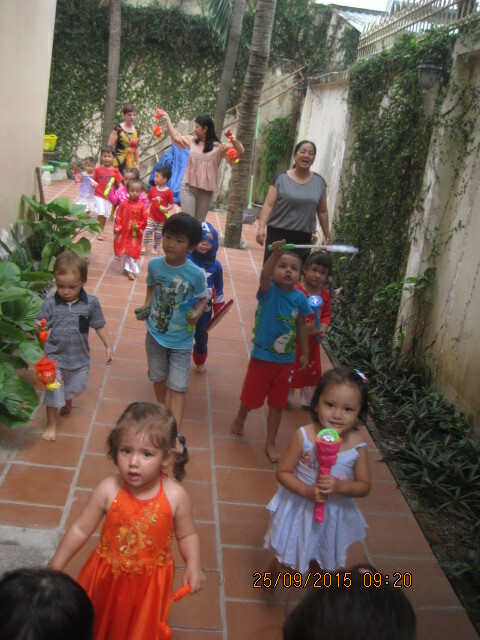 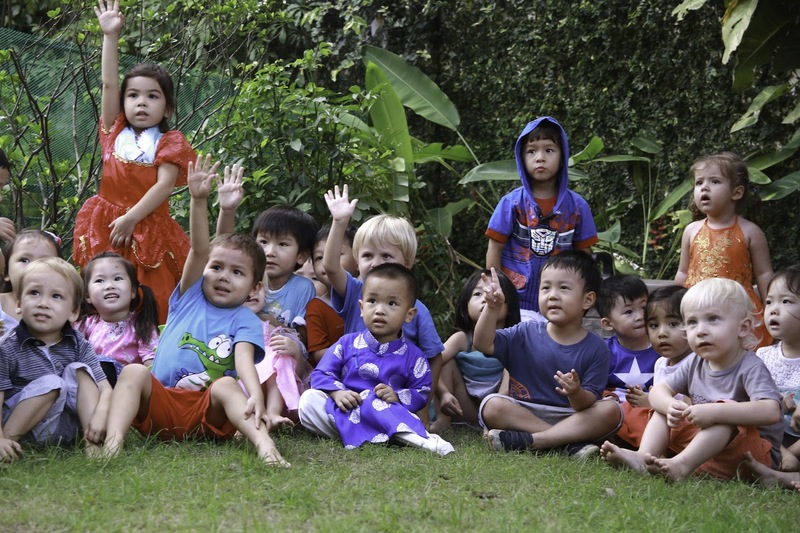 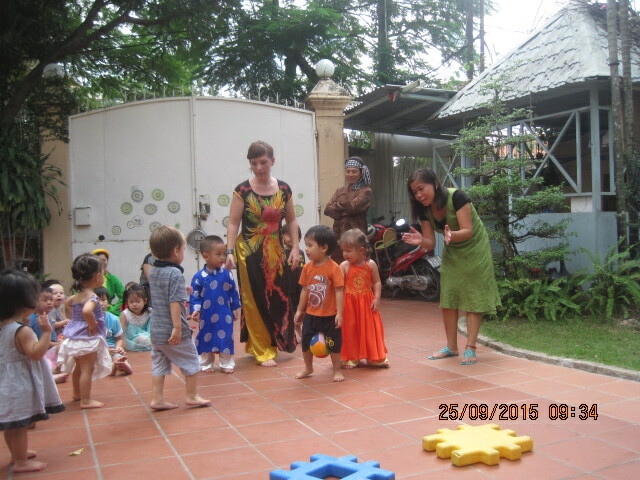 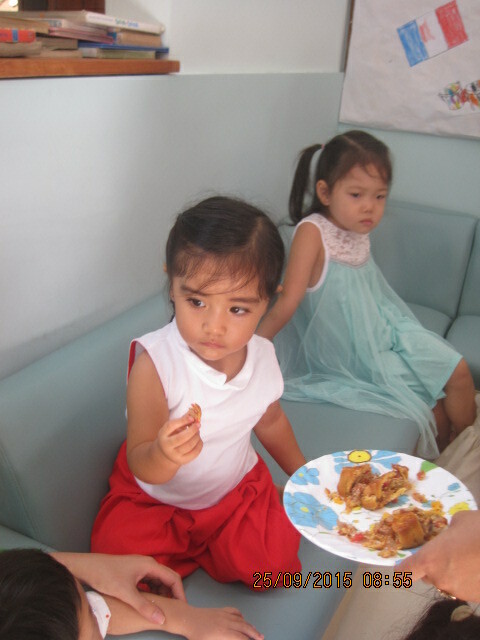 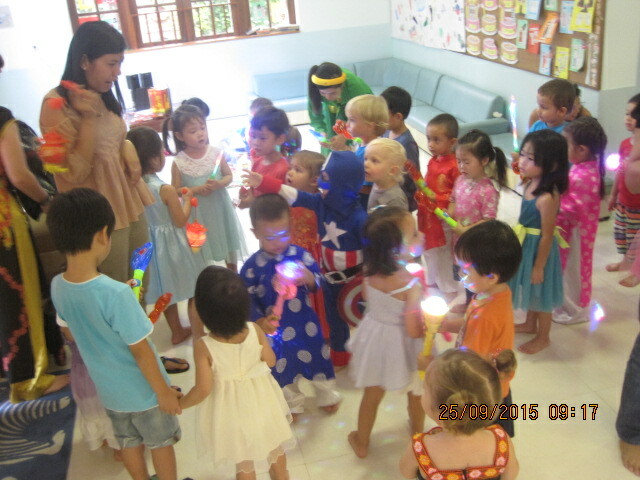 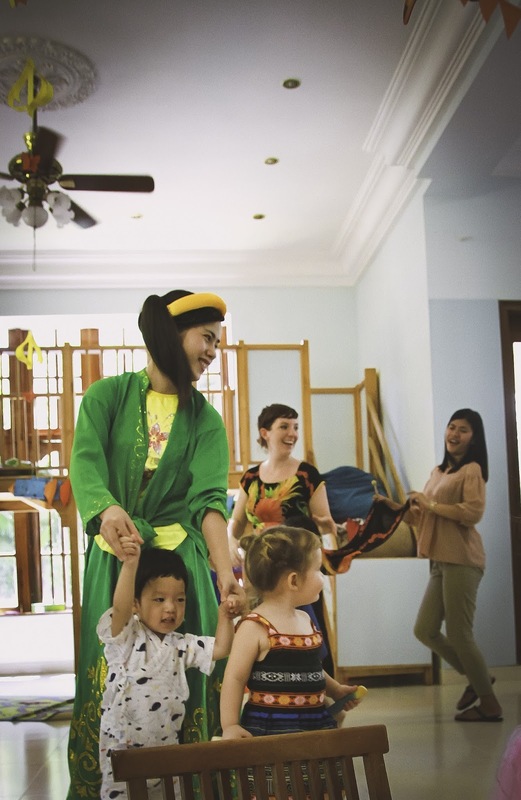 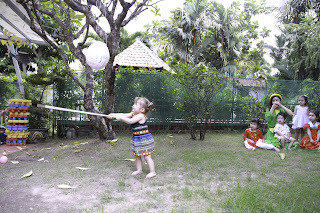 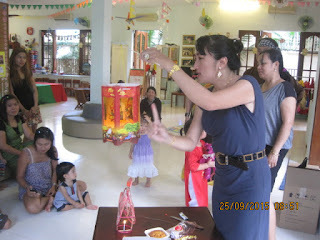 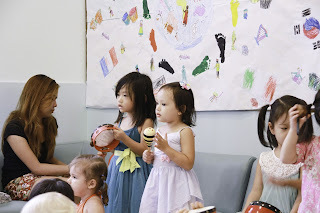 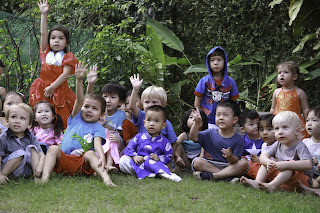 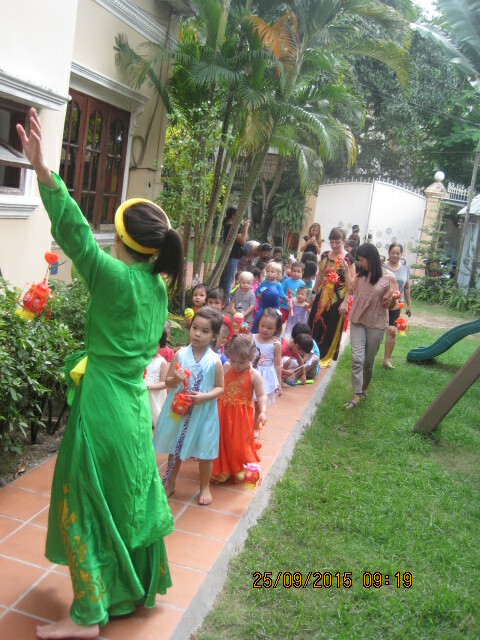 Our Mid-Autumn Festival party displayed an array of colors as some of the Children came to school wearing beautiful traditional Ao Dai and other colorful costumes. 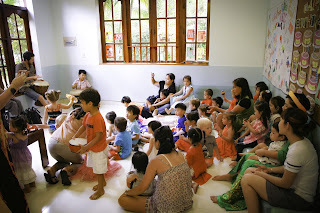 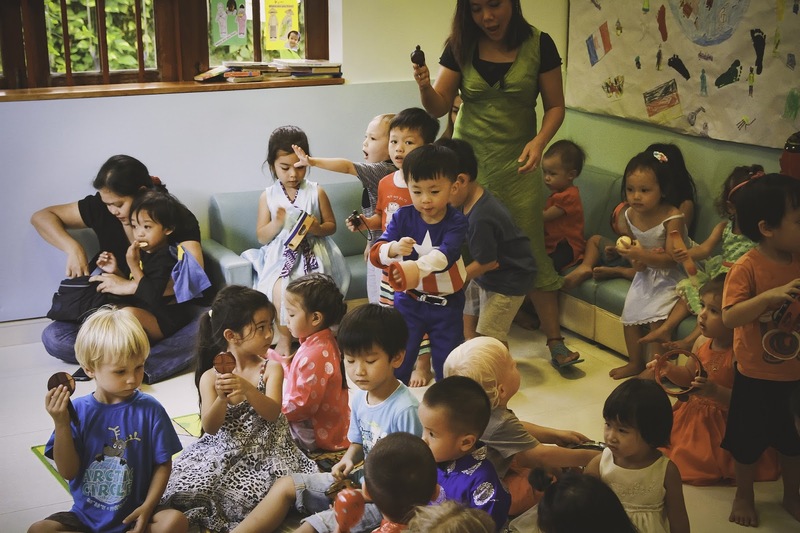 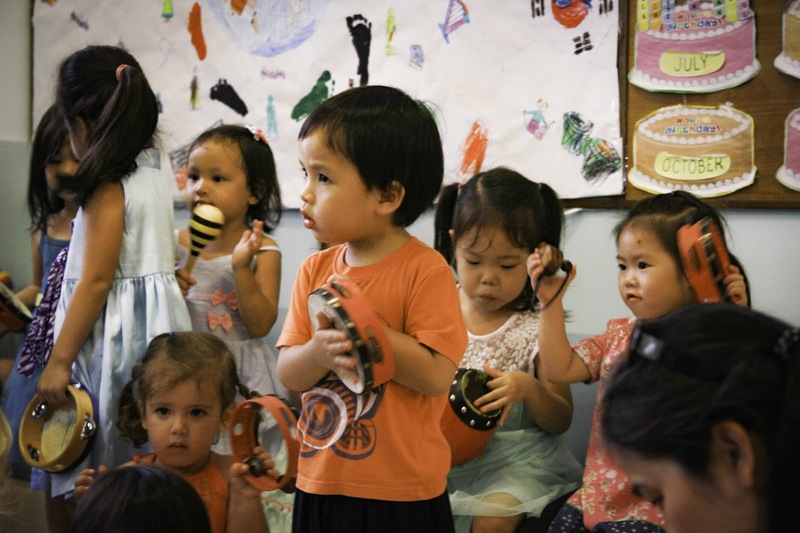 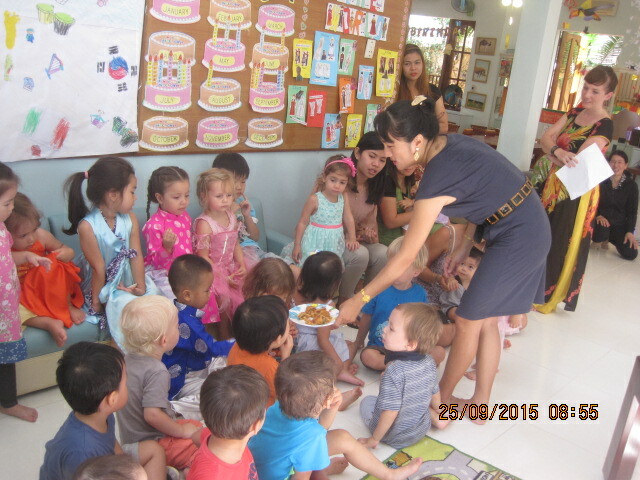 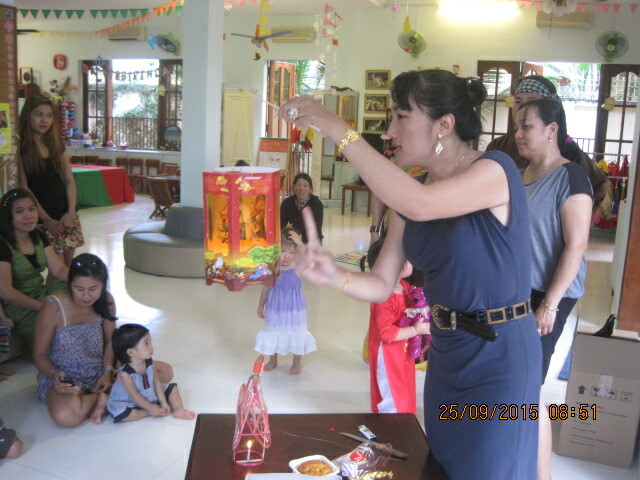 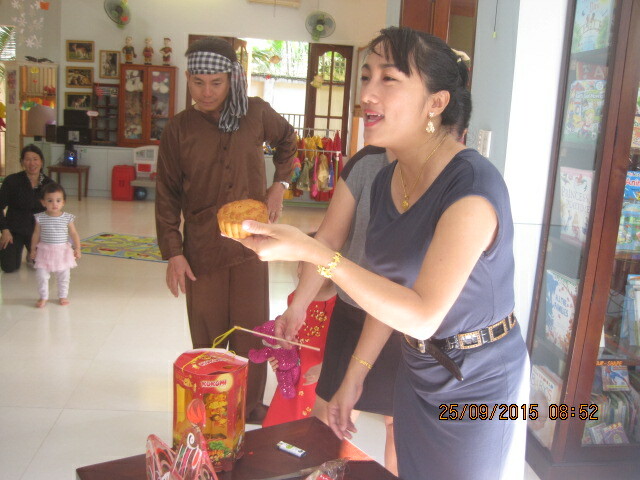 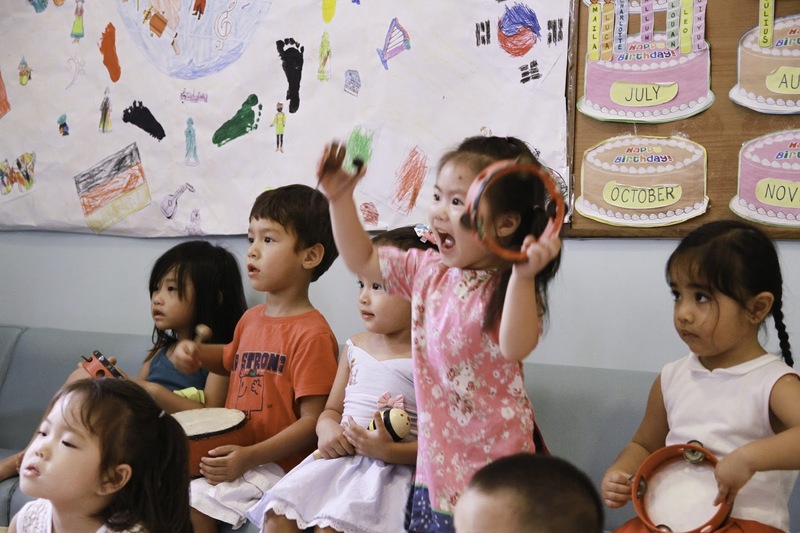 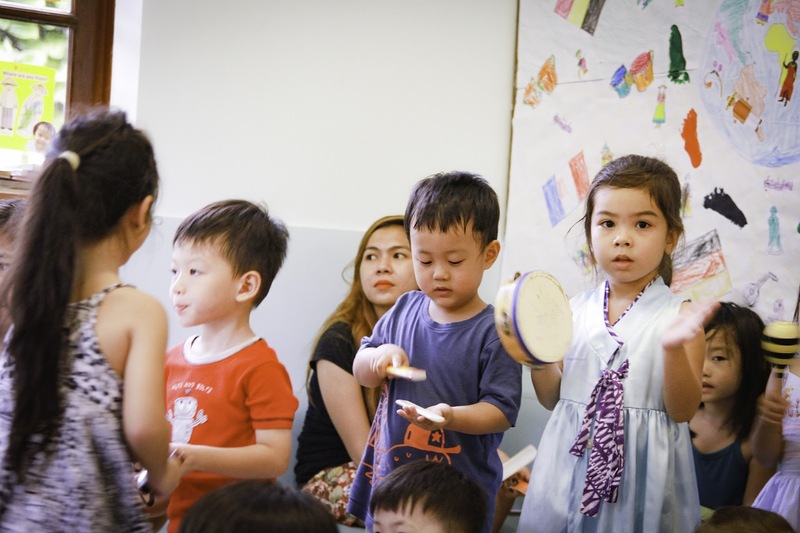 In the morning the Children gathered for an introduction to the Mid-Autumn Festival with a story and a taste of the various Moon cakes. 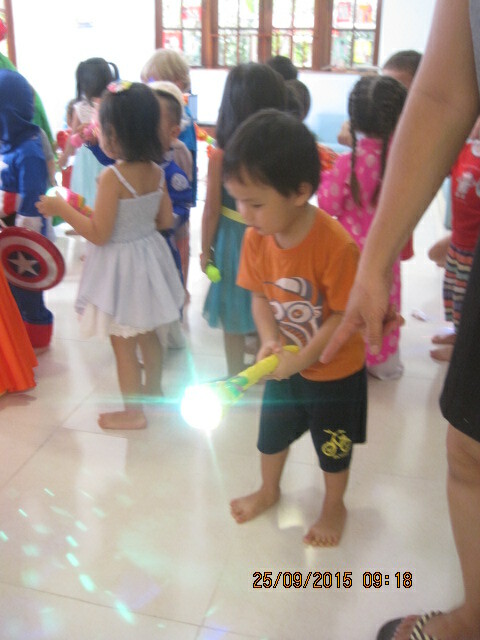 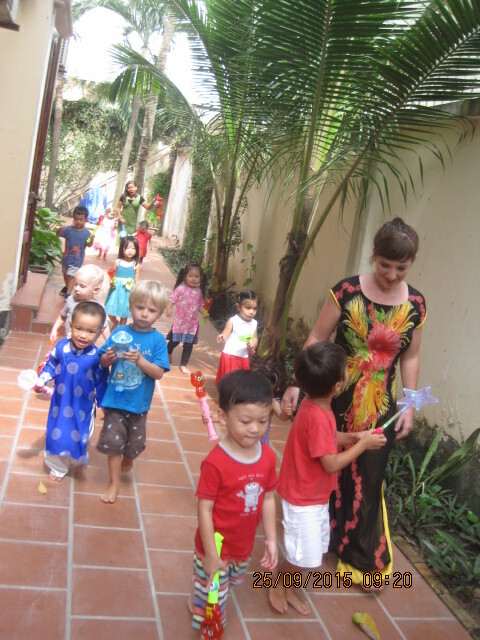 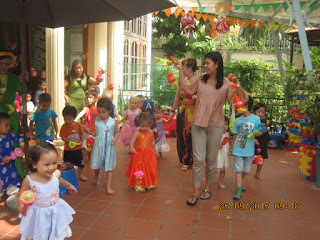 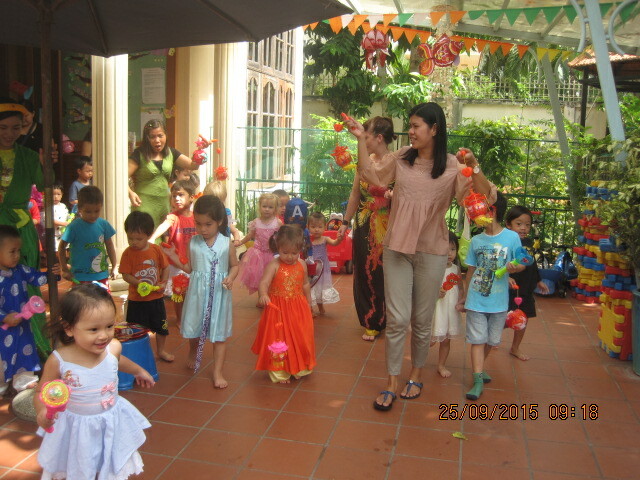 We all joined hands and paraded around the school, singing and cheering for the full moon. 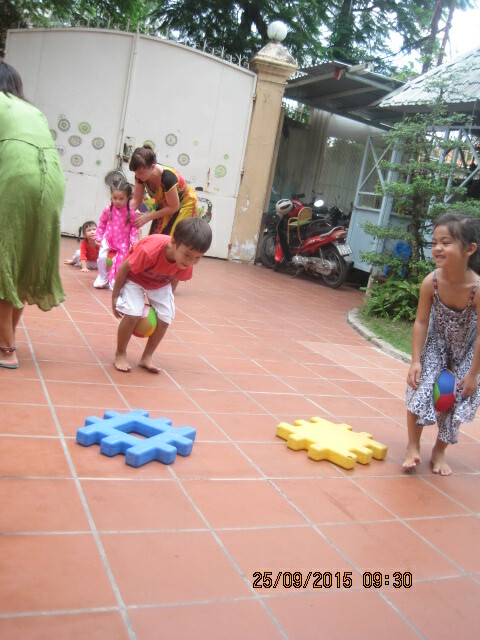 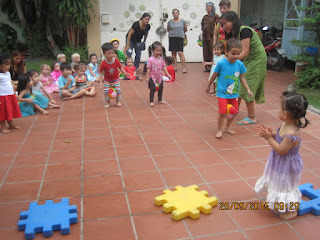 Our games started with the ball race, the children racing while holding a ball with their knees together. 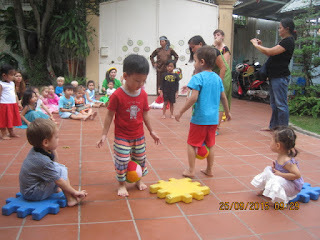 We had a lantern relay race and the three legged race, one that always goes down a storm with the Children as they hold onto each other, trying not to trip! We went inside to work on our Chinese drums with everyone coloring full moon pictures. 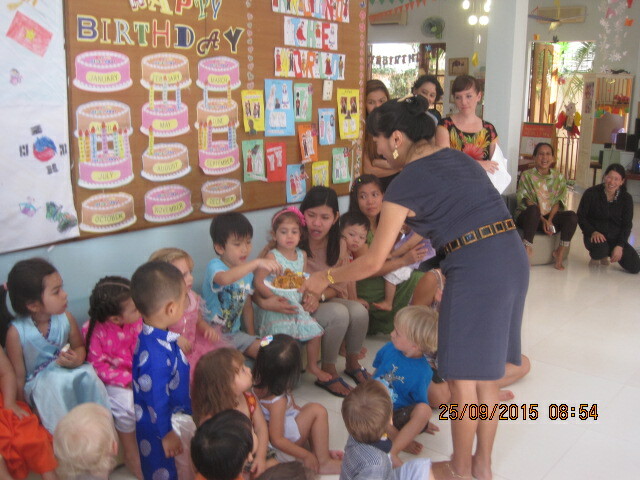 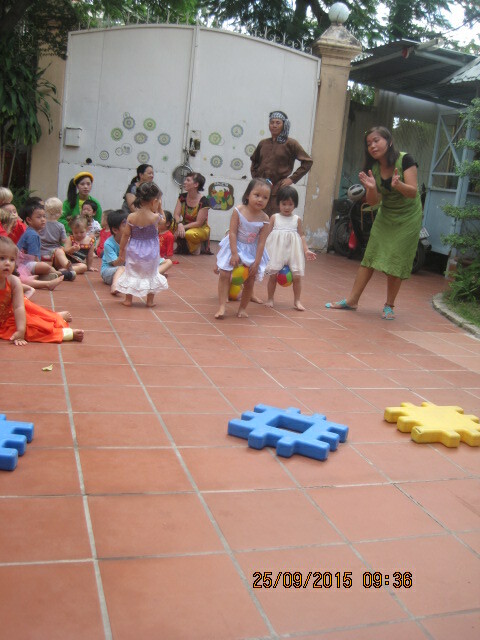 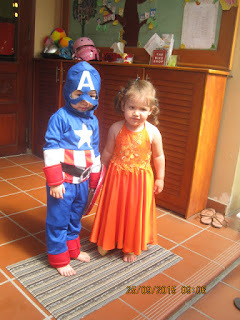 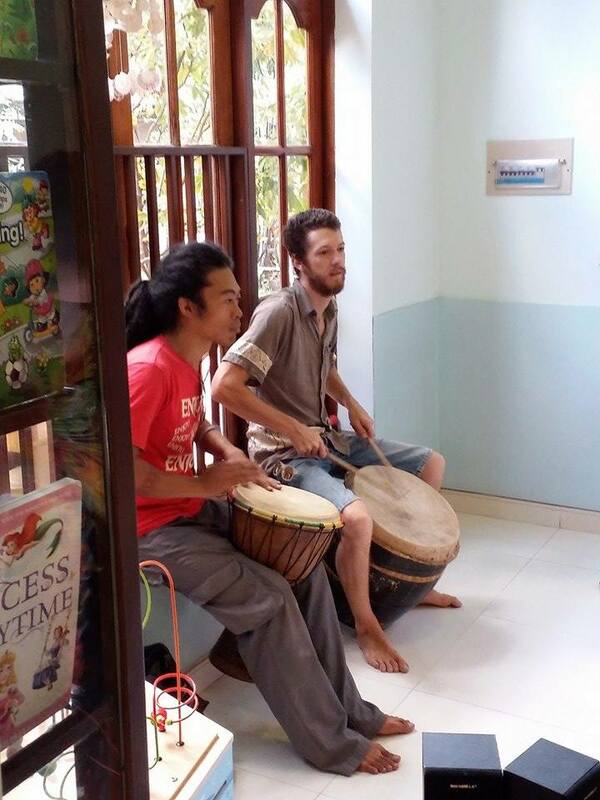 The treat of the party was when our special guests, Janel&Julien, came to form a drum circle with all the Children. With the guests showing us different energetic rhythm patterns and Noah stepping up to show his skills, everyone got involved with tambourines, castanets, bongos and xylophones and soon the room was filled with uplifting rhythm and dancing. 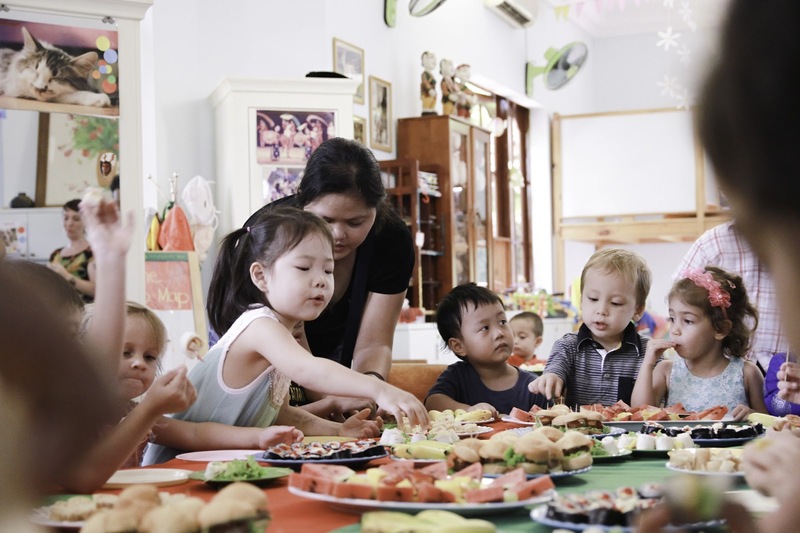 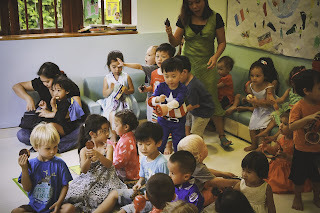 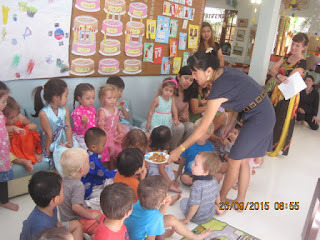 All the activity in the morning made us very hungry indeed and a buffet with an array of foods from various countries was waiting for the Children to dig into. 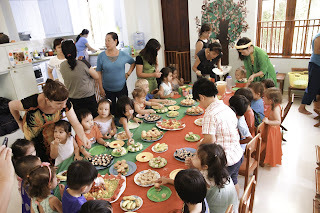 With everything from sushi, crepes, hamburgers and tropical fruit, it went down a treat! 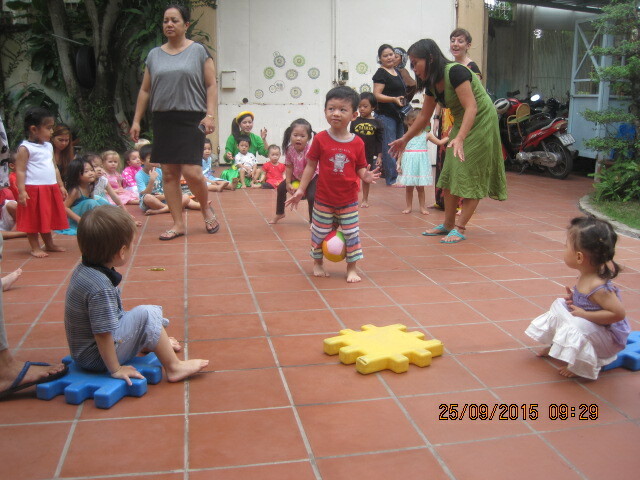 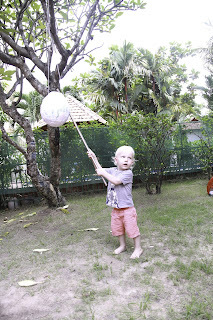 And the last game of the party always is our favorite - Pĩnata.